I'm so proud to announce my first ever meet and greet event! I got a little comfortable being back in Charlotte and have been able to meet so many of my followers. I've been asked about having a meet and greet for such a long time now, so here it is! If you're familiar with the CIAA tournament (for those who aren't it's a collegiate basketball tournament held) then you know that a big week of partying is on the way in Charlotte. I've attended every year since 2008, but the past three years have gotten better and better. I'm hosting my event at the chic House of Chanel Boutique on Sunday, February 23 from 4-7pm. 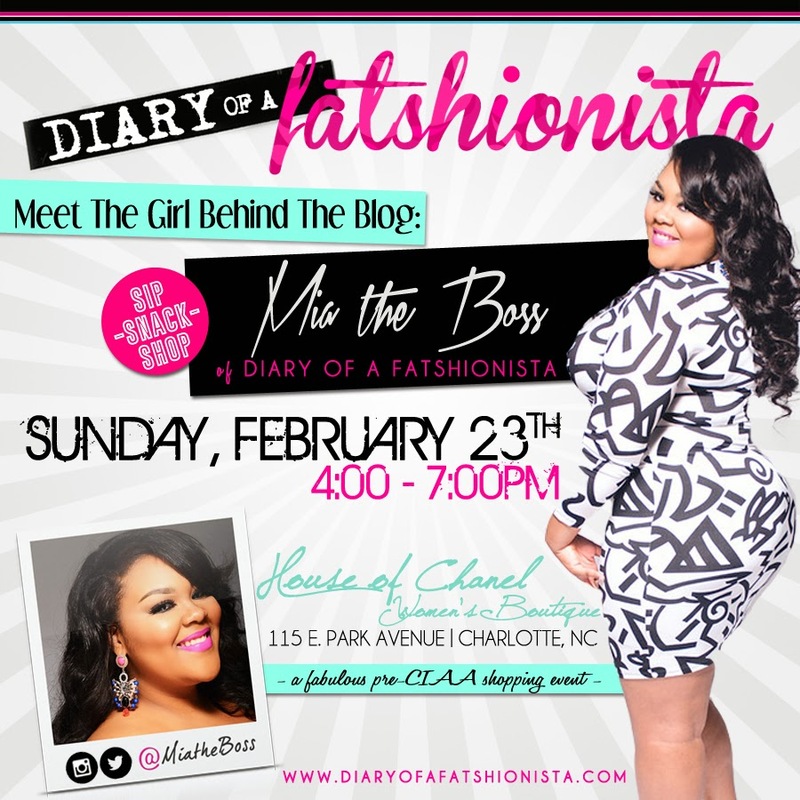 Come sip, snack, and shop with me and get ready for CIAA, which begins Monday, February 24. Cupcakes, wine, desserts, and so much more are in store for all my attendees. I am beyond excited to meet my fatshionistas! See you in a few days!